Could the pride of the Russian Navy really be sold to China? In a recent interview with China Central Television, Rear Admiral Ma Weiming, a leading Chinese Naval Engineer talking about the future of Chinese Naval Aviation commented on recent media reports out of Russia Today that the People's Liberation Army Navy, PLAN was considering the purchase of the Russian Federation's only operational aircraft carrier, the Admiral Kuznetsov. "While it is a interesting idea, the People's Liberation Army Navy acquiring the Admiral Kuznetsov and in the right circumstances could happen I believe it to be a unlikely development over the long run." The People's Liberation Army Navy sees a future with 6 carrier group's consisting of modern, large American-style carriers. China has never sought to match the United States Navy numerically in the Western Pacific. The elderly 37 year old Admiral Kuznetsov offers little to our navy that we have not learned or mastered by ourselves, and the navy can all ready build a better domestic carrier of similar or superior capabilities in the Type 001A. I believe that CATOBAR and EMALS carriers are the future of our navy, and such platforms exemplified by the Type 002 under construction in Shanghai, and Type 003 aircraft carrier currently under development will provide the People's Liberation Army Navy and Naval Aviation with a far more credible capability for securing China's core maritime interests. - President Xi Jinping praised for "rapid and effective" response to Typhoon Mangkhut. - Recovery & reconstruction efforts in aftermath to Typhoon Mangkhut underway for Hong Kong, and Guangdong, Guangxi, and Hanian provinces. - New naming convention for PLAN Destroyers? - Type 055 Destroyer readies for next series of Sea Trials. China's AG600 amphibious aircraft passed its first takeoff from water in the city of Jingmen, Hubei Province, according to its developer, the Aviation Industry Corporation of China (AVIC), Monday. At 3:25 PM the aircraft took off in relatively calm seas, and flew for 15 minutes, 45 seconds, then returning to Jingmen's Zhanghe Reservoir's air harbor. With the success of this flight it is expected to undergo a number of technical tests and flight tests will be mainly conducted on the surface of the Zhanghe Reservoir in Jingmen. Endowed with unique geographical and water conditions, the Zhanghe Reservoir is also called the "cradle of China's water planes." It is home to the country's only air harbor. The AG600, code named "Kunlong," completed its maiden water flight last December, and finished two test flights in January this year. "During the recent two flights, the aircraft passed all the test subjects and its various systems functioned normally," said Zhou Guoqiang, AVIC's spokesman. Designed to be the world's largest amphibious aircraft, the AG600 is powered by four domestically built turboprop engines and has a range of 12 hours or about 4500 km. It will be mainly used for maritime rescue, fighting forest fires and marine monitoring. Starting in February the aircraft is expected to start testing for Ocean landings, as it should be able to conduct Sea State 3 operations with 2 m (6.6 ft) waves and by years end it should receive certification from the Civil Aviation Administration of China. AVIC confirmed at least 29 orders for civilian and military users have been placed by the end of 2018. After many delays caused by the launch failure of the second Long March 5 due to a turbopump exhaust issue that prevented the rocket's payload from reaching its desired orbit the Long March 5 rocket successful conducted it's third flight. The 5-meter-diameter, 57-meter-tall Long March 5 debuted successfully in November 2016 and is crucial to the country’s major human spaceflight and space exploration objectives. It's powerful YF-77 engine was redesigned to fix the turbopump, and each engine went through substantial static ground tests in 2018 in order to ensure that such a accident would not happen on the rocket's third launch as the success of the Long March 5 heavy lift vehicle is crucial to China's major human spaceflight and space exploration objectives. The launch of the third Long March 5 rocket suffered from several delays. These delays included fears of damage from Typhoon Mangkhut to both the launch vehicle and the payload. However after a careful inspection of the launch facility, the rocket, and the payload a decision to go ahead with the launch was given. 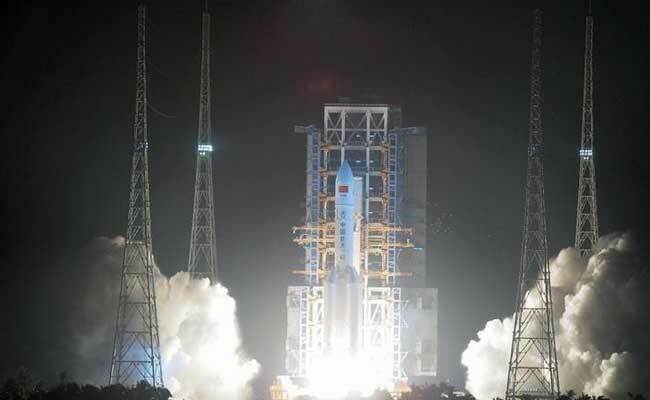 The Long March 5 rocket was given the green light by the China National Space Administration and in the early morning hours of February the third Long March 5 rocket lifted off successfully, and launched the Shijian 20 communications satellite into it's desired orbit. Shijian 20 is the first Chinese satellite spacecraft based on the new DFH-5 communications satellite platform, a heavier, higher-power next-generation design, replacing the Shijian 18 satellite lost on the launch failure in 2017. The rocket's Chief engineer Jing Muchun said in a recent interview that the successful flight of the Long March 5 will make possible new satellite platforms based on the large DFH-5 satellite platform as well as provide China with a economical Falcon-9 class carrier rocket. The rocket will also enable China to launch the core modules of it's third space station, and conduct it's first ever manned deep space missions in addition to the under development sample return missions from the Moon. 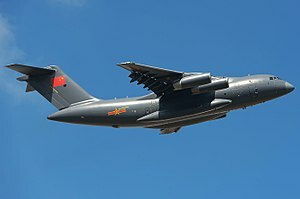 The Xi'an Y-20, China's first large strategic military transport aircraft currently undergoing low-rate serial production successfully completed it's first over-seas deployment over the months of January and February, delivering substantial quantities of humanitarian aid and medical aid along side several Chinese Y-8 and Y-9 cargo aircraft. According to reliable state media sources the two aircraft delivered more than 300 tons of humanitarian and medical supplies, and collectively the Chinese airlift effort provided more than 500 tons of critical relief supplies to the Palu airport. China's "Peace Ark" hospital ship also has provided medical assistance to more than 10,000 Indonesians during it's short deployment to the Sulawesi area to provide humanitarian relief. The deployment is likely to be extended by two months as many thousands of Indonesian's in the Sulawesi area still need medical attention. According to reliable reports China's Minister of Foreign Affairs Wang Yi personally called his counter part in Jakarta to offer the services of heavy equipment and manpower to help clear the major roads and railways which several are still blocked, and are hampering relief efforts. Several Generals of the Indonesian Air Force who were allowed to tour the Y-20 were "Very impressed" with the heavy lift capabilities of the Y-20, and the Y-20's lead designer, Tang Changhong praised the aircraft's performance saying that it was "well within projected capabilities." During a interview with CCTV Tang Changhong also confirmed that the first over-seas sale of the Y-20 was close to finalized with the Myanmar Air Force scheduled to take delivery of 4 of the largest production aircraft in the world later this year. Tang Changhong also speculated that the People's Liberation Army Air Force would require additional Strategic airlifter's, beyond the announced 1,000 and projected that actual demand could be closer to 1500 to 2200 aircraft over the next three decades. - Chang'e 5 robotic lunar sample return mission slips from Q4 2019 to Q2 2020. - Does China need a new Sea Control Ship? Chengdu, China A Air China 747 taking off. In the early months of 2019 several Chinese airlines declared bankruptcy, including Loong Air, Uni-Top Airlines Co. Ltd. Following trends all ready set in the United States of America in the 80's and 90's it appears that the Chinese state-run Airline Industry is undergoing a period of consolidation that has the potential to establish a much more robust and profitable industry. China Daily recently reported that China has in excess of 55 airliners, servicing the majority of the country. Many of these airliners are money-looses for the state, but it is expected that they will either through bankruptcy fold or merge with larger airliners as did American Airlines, Delta Air Lines, and Southwest Airlines. Through a series of recent acquisitions Air China absorbed Chongqing Airlines, Donghai Airlines, and Hebei Airlines. China Eastern Airlines absorbed Lucky Air, Shanghai Airlines, and Shandong Airlines. China Southern Airlines absorbed Hainan Airlines and Beijing Capital Airlines. Air China Cargo absorbed SF Airlines, Longhao Airlines, and China Postal Airlines. This recent wave of mergers, bankruptcy's, and acquisitions appears to be a signal from Beijing to SOE's that they have to clean up their act, or be prepared to be either consolidated or become a case of mixed ownership reform. The State-owned Assets Supervision and Administration Commission announced that it was accepting applications for non-state owned carriers to operate fully-owned or mixed ownership airlines, both regular and low-cost operators operating on a number of routes in China opening up the possibility that more competition could be coming to China's aviation sector in the next five year plans further paving the way for further reforms and mergers in China's aviation sector. 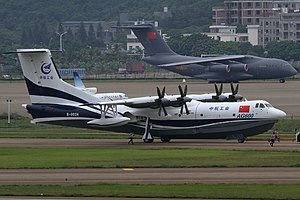 Antonov announced over the weakened that it had successfully completed construction of the second airframe for AICC and following a testing phase the aircraft would be delivered to China by years end. Measuring 84 meters in length with an 88.4m wingspan, this massive plane can carry 640 tons, and holds the world record for being the longest and heaviest aircraft built since it came into service in 1988. China and the Ukraine have had a close relationship when it comes to key technology. In the late 1990s, the People’s Liberation Army bought the scrapped hull of the Soviet-made heavy cruiser, the Varyag, before renaming it the Liaoning and turning it into the Chinese Navy’s first aircraft carrier. Now, according to media outlets CCTV and China's Military, China will assemble two An-225 aircraft under the license agreement signed with Kiev almost 3 years ago. A AN-225 under construction in Chengdu, China. 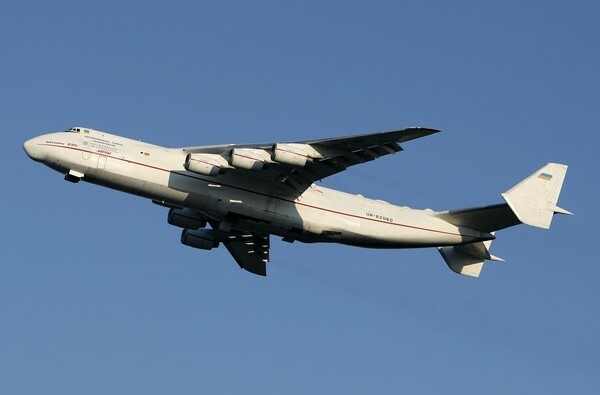 The An-225 was initially developed to transport the prototype Buran, or Snowstorm, space shuttle, which was part of the Soviet Union’s ill-fated reusable spacecraft program. General Li Zuocheng said in a interview with CCTV that the People's Liberation Army Airforce was now the closest that it has ever been to acquiring a global ‘strategic’ lift capability thank's to the availability of the Il-76, and the domestic production of the Y-20 strategic air lifter. During the interview General Li Zuocheng praised the performance of the PLAAF following the devastation wrought across much of Asia by the 2018 typhoon mangkhut. The general said the rapid response of PLAAF strategic airlifters was a fine demonstration of the new capability that such a global ‘strategic’ lift capability would bring to China's armed forces. Commentators also noted the rapid response both at home and away was a ‘vast improvement’ over the 2005 earthquake in Sichuan which saw the PLAAF struggling to deploy cargo planes to the disaster zone.